Harvesting Rhode Island is a 5-part series that raises public awareness of local farming and the farm-to-table cycle through folk life studies, and by interpreting how this significant way of life on the farm will manage to survive. Episodes will air two at a time in the ongoing series, Rhode Island Stories, Sundays at 6 p.m. and 6:30 p.m. beginning March 22. UPDATE: All five episodes in this first series are now available online as well. Links are posted below. The series explores how traditional systems can be creatively maintained and become more of a dynamic marketplace. Introducing the public to the farmers of Rhode Island will provide insights into the complex but easily taken-for-granted process behind the edibles we consume. Growers have had to balance the traditional approaches that were handed down to them with the variable realities of today’s business climate. In the latter part of the twentieth century local wholesale markets began to shrink due to large retailers and national distribution systems. As a result, growers increased their direct marketing through on-site retail stands, pick-your-own programs, farmers markets, and selling through local retailers. This direct approach has, in turn, stimulated diversification to satisfy the eclectic tastes of increasingly sophisticated consumers. 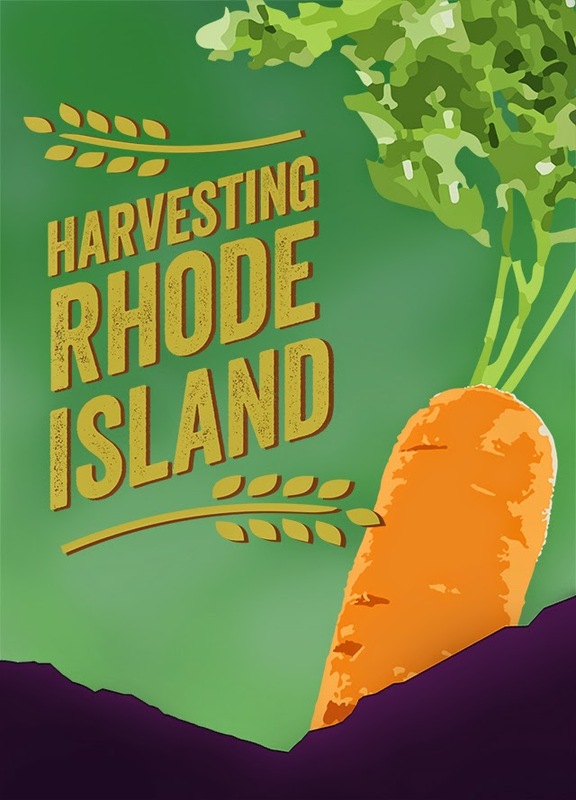 A large number of consumers in Rhode Island are unaware of the locations and variety of crops that are grown in the state and where to purchase them. Harvesting Rhode Island seeks to change that by bringing viewers on location to see the farms, meet the farmers and listen to the farmers' stories.